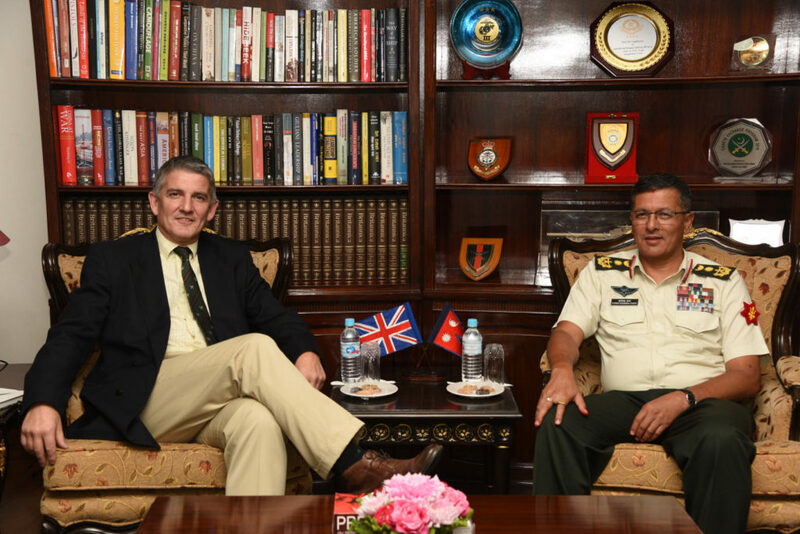 On Monday 22nd October, Lieutenant General Nick Pope CBE, Colonel Commandant Brigade of Gurkhas and Deputy Chief of the General Staff, paid an office call on the Nepalese Army Chief of Army Staff, General Purna Thapa. General Thapa took over command of the Nepalese Army in September this year. The two general officers discussed the close and warm relationship between the two armies and issues of mutual interest. 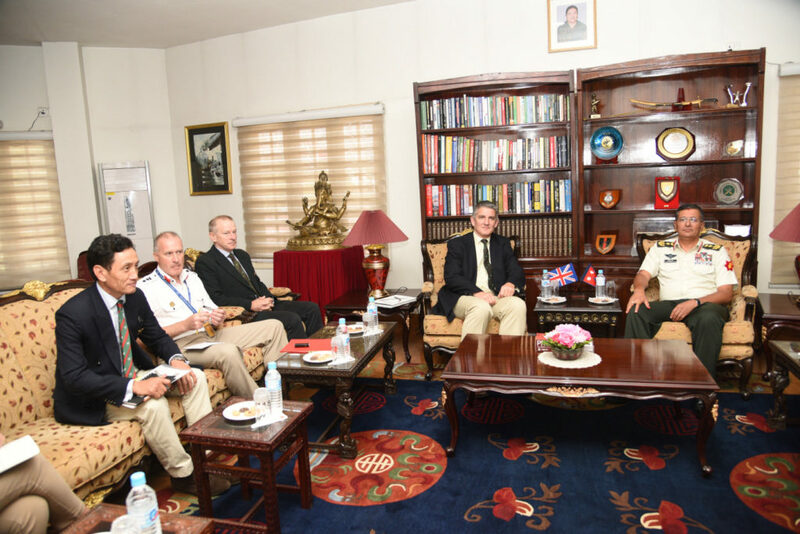 The office call was part of a wider visit to Nepal by General Pope in which he meet the Regimental association Nepal chairman for lunch, received an update on recruiting and met Gurkha Welfare Trust staff. Accompanied by Colonel Brigade of Gurkhas, Colonel James Robinson, they also joined in the 50th anniversary celebrations of the Kadoorie Charity Foundation’s support to the Brigade of Gurkhas and Nepal. Also in attendance was the Colonel Brigade of Gurkhas and the Defence Attaché Kathmandu.